Every team using our service trusts us to keep their data to remain secure and confidential. TeamRetro is hosted on Salesforces’ Heroku platform. We opted for Heroku for a variety of reasons, including their industry-leading security and reliability.  Heroku provides advanced network and operational security protections that are periodically reviewed as part of our vendor management processes. Learn more about Heroku security. TeamRetro is hosted on Amazon Web Services (AWS) infrastructure. Our datacenters feature 24-hour manned security, biometric access control, video surveillance, and physical locks. All systems, networked devices, and circuits are constantly monitored. All AWS data-center facilities are accredited under ISO 27001, SOC 1 and SOC 2/SSAE 16/ISAE 3402 (Previously SAS 70 Type II), PCI Level 1, FISMA Moderate and Sarbanes-Oxley (SOX). Learn more about AWS security. TeamRetro exclusively uses datacenters located in the United States; with our primary datacenter in Northern Virginia. All third party services that support the TeamRetro experience (Pusher, SendGrid, Braintree, ImgIX) are also based in the United States. All our facilities are powered by redundant power, each with UPS and backup generators. The TeamRetro platform maintains a backup environment in a secondary datacenter – always ready to take over if there are infrastructure issues with our primary datacenter – to guarantee business continuity. TeamRetro captures a full backup of customer data every 12 hours. Backups are maintained for 30 days, at which point they are securely destroyed. All backups are stored encrypted. All communication with and between TeamRetro servers is encrypted using the industry-standard Transport Layer Security (TLS) version v1.2. Additionally your data is protected by AES256 encryption while at rest. Whether it’s on the move or not – your data won’t fall into the wrong hands. Users are required to verify their ownership of an email address via a link provided in an automated e-mail prior to using for a TeamRetro account. All users must be authenticated prior to gaining access to customer data. TeamRetro passwords are stored salted and cryptographically hashed using the state-of-the-art bcrypt algorithm. TeamRetro enforces a minimum password complexity requirement using Dropbox’s ZXCVBN library, ensuring passwords are safely unguessable and unbreakable. We periodically commission independent penetration testing, validating the security of the TeamRetro platform. We fix all high or critical issues within a maximum of 7 days. An annual risk assessment is conducted to identify threats and vulnerabilities for all TeamRetro systems. Mitigation strategies are developed based on the results of the risk assessment. TeamRetro uses OS containerization via Heroku to ensure that access toTeamRetro data and code is properly restricted. All TeamRetro services run on dedicated compute resources isolated in their own virtual network. TeamRetro servers operate on an ephemeral filesystem, restored to a fresh copy of the most recently deployed code at minimum once per day, or every time a new version is deployed. Platform-level patching (operating system, system libraries and services) of TeamRetro application and database servers is performed on an ongoing basis by Heroku. Further information. Application patching (application libraries etc) is performed by TeamRetro on an ongoing basis. We screen all prospective GroupMap Technology Pty. Ltd. employees with access to TeamRetro systems or who may come in contact with customer information through a leading background checking service. All employees are covered by non-disclosure agreements. The access level of each of our employees is determined by need, periodically reviewed and revoked if no longer necessary. We enforce multi-factor authentication for all critical TeamRetro systems. We tweet from @teamretroapp, though this is rarely necessary. Enterprise customers can elect to be notified of any problems via email. Our deployment platform usually obviates the need for downtime when we make changes to GroupMap. However, we will notify customers by email at least 24 hours in advance of any planned downtime. Suspected security incidents, including logical and physical security breaches and other concerns should be immediately addressed to security@teamretro.com and will be ticketed, tracked and resolved following our incident response policy. TeamRetro makes use of a number of third-party vendors to enable a rich online experience.